Aviation Updates Philippines - Philippine Airlines and Bangkok Airways are all set to embark on a codeshare partnership to expand convenient connections for passengers traveling between Manila and Thailand. EXPANDED ROUTE NETWORK. With the recently signed codeshare deal, Philippine Airlines passengers may seamlessly book from Manila to Bangkok and Chiang Mai via Bangkok Airways. Photo from Google. 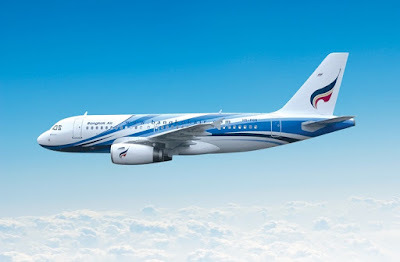 This codeshare agreement - which will take effect on October 28, 2018 - will enable PAL passengers flying to Bangkok from Manila to connect seamlessly on Bangkok Airways’ flights to Chiang Mai via Bangkok's Suvarnabhumi Airport. At the same time, Bangkok Airways’ passengers will be able to travel on Philippine Airlines’ flights between Bangkok and Manila. Through this partnership, PAL passengers can enjoy the convenience of easy air access to Thailand’s world-renowned ancient temples, heritage sites and eco-tourism adventure spots, while passengers of Bangkok Airways can travel to the Philippines' capital city, a center of the economic, social and cultural activity in one of Asia's fastest growing countries. PAL President and Chief Operating Officer Jaime J. Bautista said, “As PAL expands its presence across the globe, we aim to build new partnerships because by working together, we build new connections that will give our passengers more choices to enjoy exciting new travel experiences.We believe that our PAL customers will be delighted to discover the rich cultural heritage of our ASEAN neighbor Thailand, beyond the well-known sights of the capital city. Passengers of our partner airline will also get to experience our 4-Star global service brand." “Our alliance with Bangkok Airways gives us a 'win-win' formula in terms of passenger comfort, convenience and satisfaction," Mr. Bautista added. Bangkok Airways President Puttipong Prasarttong-Osoth, said “The codeshare partnership with Philippine Airlines is a major milestone in the airlines’ network development strategy and a new footprint in the region. Our partnership will offer business and leisure travelers enhanced connectivity and seamless access when travelling throughout the combined networks of both airlines. Moreover, Philippine Airlines’ codeshare passengers traveling on Bangkok Airways will enjoy the boutique airline’s unparalleled services such as lounge access and in-flight meals." Both PAL and Bangkok Airways are among the select group of airlines to have earned the prestigious 4-Star Certification by the international airline rating agency Skytrax --- PAL as a full-service airline with a global network spanning four continents, and Bangkok Airways as a "Boutique Airline" offering personalized service to niche regional markets in Thailand the South East Asia. Bangkok Airways is PAL’s 15th codeshare partner, and its fifth in South East Asia. The entry of Philippine Airlines brings the list of Bangkok Airways' codeshare partners to 27 in total. For more information and reservations, Philippine Airlines’ passengers may visit www.philippineairlines.com.